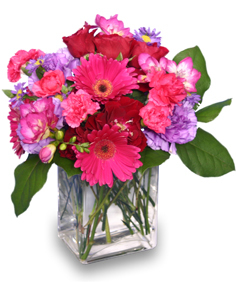 Let them know what's on your mind and in your heart with lovely fresh flowers from PRAIRIE FLOWERS. 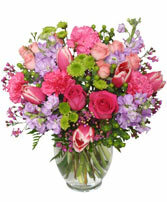 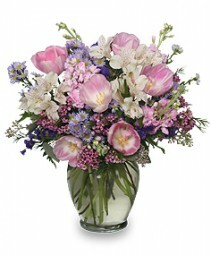 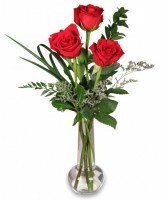 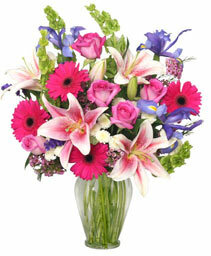 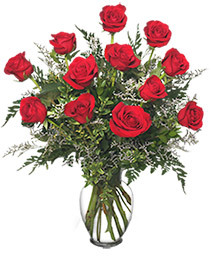 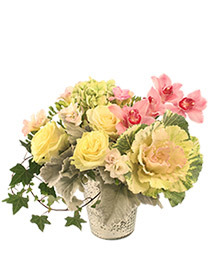 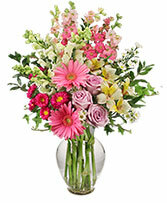 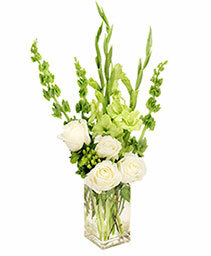 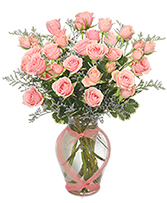 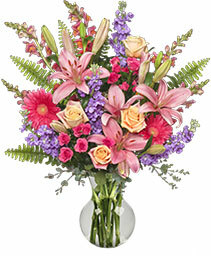 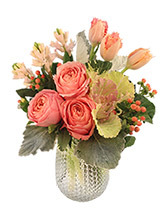 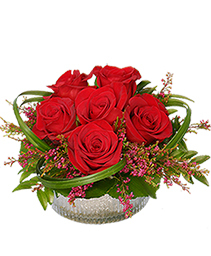 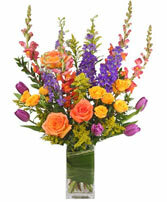 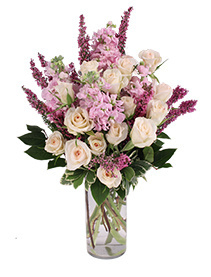 To send a floral arrangement in the Spring Green, WI area, call us direct or order flowers online 24/7. 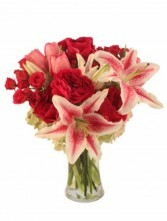 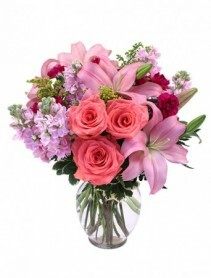 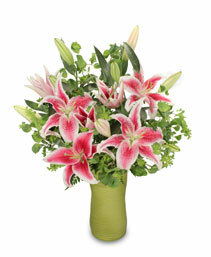 Sure to please... beautiful roses and oriental lilies will make their day (and yours!). 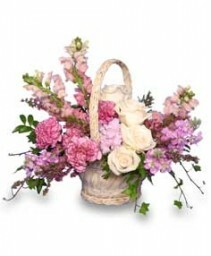 Inch Wicker Basket With Handle & Liner, Wet Floral Foam, Foliage: Ivy, Leather Leaf, Huckleberry, White Roses, Pink Variegated Canations, Pink Hydrangea, Pink Snapdragons, Pink Stock, Sunset Heather. 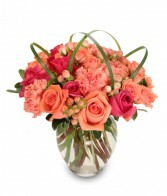 This beautiful bouquet has a lot of unusual flowers in it, so if that is what you are looking for, this is it! Order this one early so we have time to get them in for you. 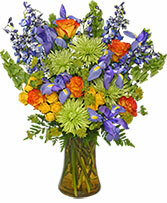 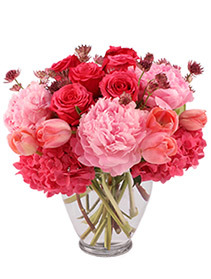 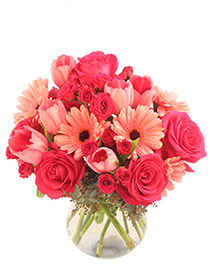 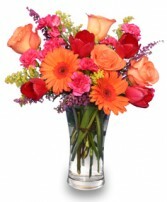 Send colorful flowers like this Floral Stunner bouquet to your someone special! Say "I miss you Mom!" with this mix of berry and pinks...... She'll love it.